There are so many things I loved about this book that it’s hard to know where to start. The main character, Drea, is a teenager who’s tired of being defined by her acronyms… ADHD and Asperger’s Syndrome. I’ve read a few YA novels with main characters on the autism spectrum, but this is the first one that explores that voice from a female point of view, and it does so beautifully. If you enjoyed Marcelo in MARCELO IN THE REAL WORLD, I think you’ll also fall in love with Drea because both charac…more There are so many things I loved about Tara Kelly’s YA debut that it’s hard to know where to start. The main character Drea, is a teenager who’s tired of being defined by her acronyms… ADHD and AS, or Asperger’s Syndrome. I’ve read a few YA novels with main characters on the autism spectrum, but this is the first one that explores that voice from a female point of view, and it does so beautifully. If you enjoyed Marcelo in MARCELO IN THE REAL WORLD, I think you’ll also fall in love with Drea; both characters are so three-dimensional, defined by a whole host of characteristics and gifts, rather than just by their labels. Like MARCELO, HARMONIC FEEDBACK is a coming of age story with a beautifully drawn, unique protagonist. The secondary characters are pitch-perfect, too. There’s Drea’s loving but imperfect mother, who is begging her to get along with her grandmother, since Drea and her mom have been forced to move in with her for now. There’s Justin, the cute-but-keeping-secrets boy who falls for Drea at her new school. And there’s Naomi, Drea’s first friend in years, who is so full of energy and spirit and so painfully flawed that my heart absolutely ached for her from the minute I met her. The characters in this book feel real through and through, and their journeys are believable and compelling. Teens who love music, especially, will be drawn into Drea’s world. 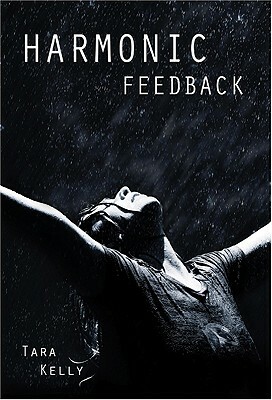 This entry was posted in Uncategorized and tagged book review, harmonic feedback. Bookmark the permalink. Both comments and trackbacks are currently closed.